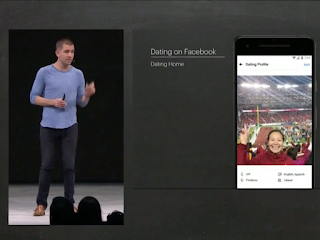 Mark Zuckerberg announced that Facebook would soon be rolling out dating features during the keynote speech at its F8 conference on Tuesday. 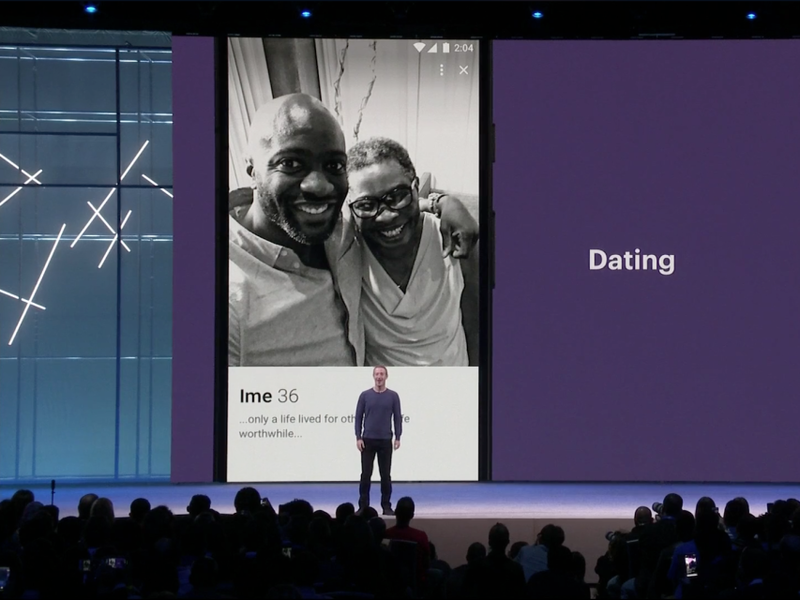 The CEO announced that Facebook is joining the dating game, to help users build perhaps "the most meaningful relationship of all." The announcement came during the keynote of this year's F8 Facebook's annual developer conference where CEO Mark Zuckerberg and his executive team generally unveil what the company has been working on for the last year. 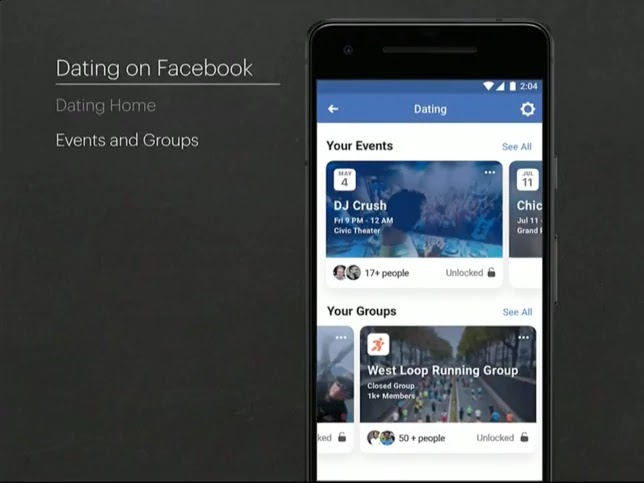 It turns out one of those things is a competitor to apps like Tinder and Hinge, although he emphasized the intent to build long-term relationships, and "not just hookups." It's unclear how exactly developers could control that aspect of it, but security was apparently taken seriously while it was being built. "I want to be clear that we have designed this with privacy and safety in mind from the beginning, "Zuckerberg said. 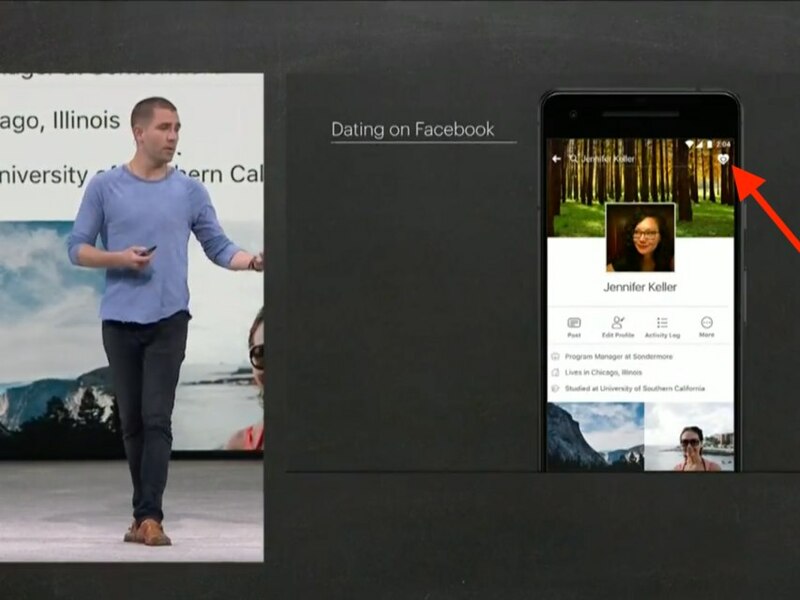 The idea comes after couples who had told Zuckerberg that meeting their partner was the most important thing that ever happened to them on Facebook. 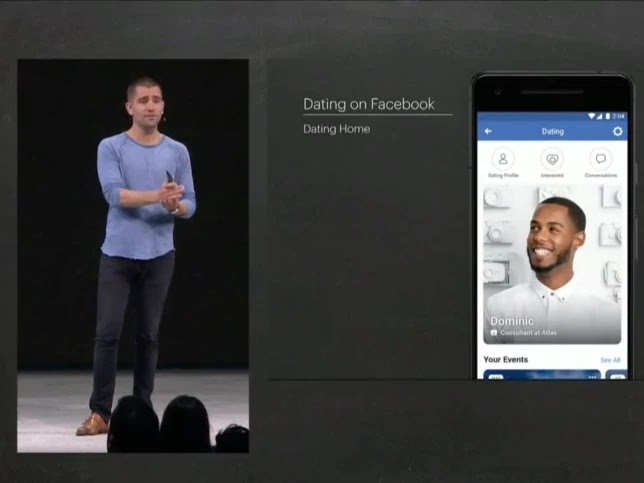 the goal was to make a product that would let more couples do the same "in a way that was opt-in, in a way that was safe, and in a way that took advantage of the unique properties of the platform, and didn't get in the way of everyone who wasn't interested in dating." The features are going to be opt-in and available in the Facebook app itself, via an icon in the upper right that takes you to a portal called "Dating Home." 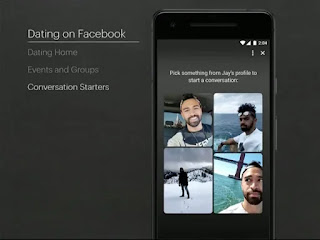 Users make a dating profile that uses only their first name and can't be seen by friends or in news feeds - it's exclusively visible to other people who have also opted into the dating service. When you unlock an event, you'll unlock the profiles of the people using the dating service who are also attending the event. presumably, they'll be able to see your profile at that point too. To start a conversation with another person, you'll hit "Interested." 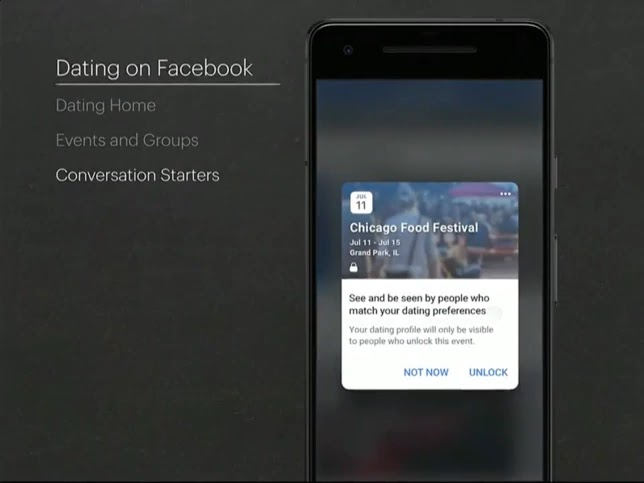 It's not clear whether Facebook will allow any Tinder-esque swiping gestures, but there's also the ability to "pass" if you're not interested. 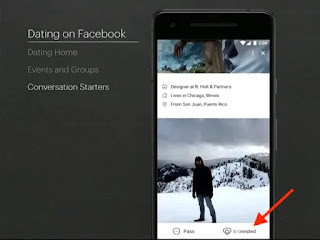 Once you've selected "interested," you can then choose a photo from their profile to talk about to help start a conversation. "This will encourage, we hope, a more meaningful interaction," Facebook exec Chris Cox said. 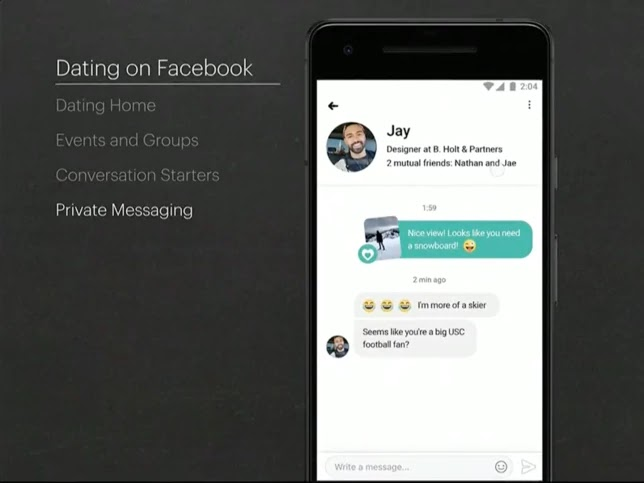 If the user decides to respond, they'll send a private message conversation that isn't connected to Whatsapp or Messenger and is text-only "as a safety measure." Here is what your private inbox will look like. 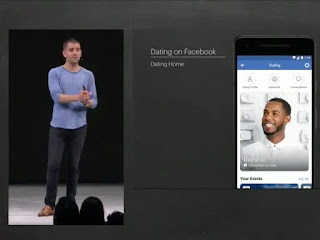 The layout or functionality may not stay the same from the patent filing to product development but it's a good way to see what Facebook's thinking is when approaching a new service like dating. Facebook has not said exactly when the new dating features will launch, but said it will be coming soon. 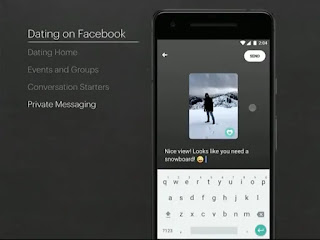 What do you think about this Facebook loving things? give your comment below!.